Top Husband Approved Grooming Products. I live with four men in my house. Yes, four of them. While three of them may be my children, they are all much bigger than me now so I pretty much consider them to be men. I'm lucky enough to have a bathroom all to myself. While I'd like to think it's because I need my own privacy and my own space - I have enough beauty products to open my own store - the men in my life are pretty obsessed with their own grooming habits. They are well stocked with their own beauty grooming products themselves. There is no way we could all share the same space! 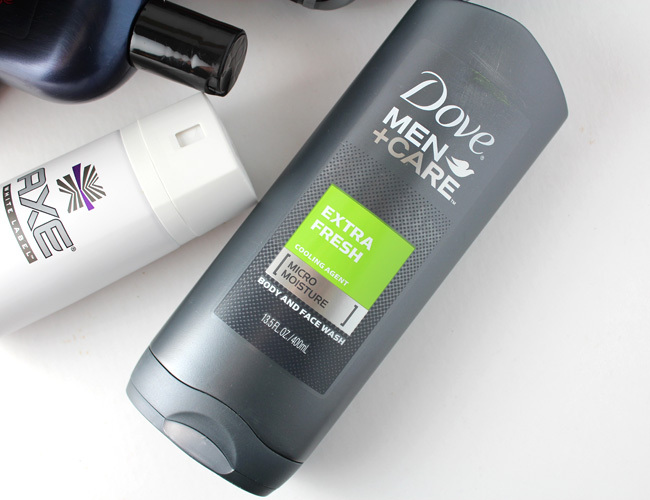 Finding the right products for the men in my life isn't easy - they are picky! They all have different wants and needs and they all have to please the big guy in the house... my husband. Dale Earnhardt Jr. is teaming up with Walmart to help men like mine get legendary looks with the best grooming products made for modern men. 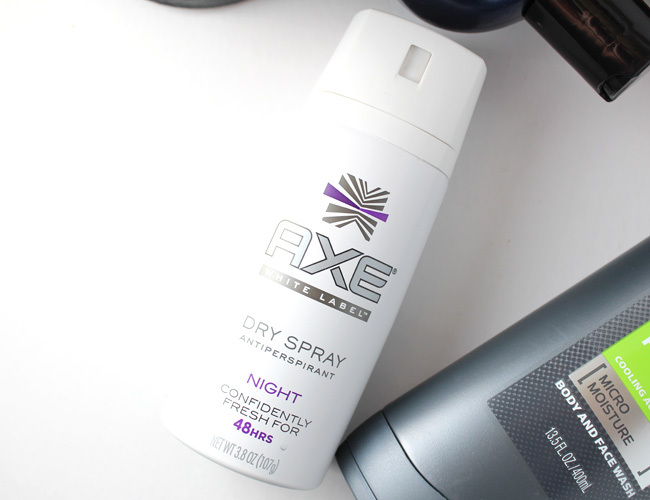 With products like AXE, Degree, Dove Men+Care, and Suave Men Heritage in their grooming regimen, you know they'll always look like winners. Following his advice has made it easier to find their latest favorite grooming products and the best part about it is that my husband approves. Top Husband Approved Grooming Products with Dale Earnhardt Jr.
Out of all the products suggested, these are the products that passed the test at my house. Designed to go on instantly dry with no visible residue, my younger guys have been using this and really like it. I agree that it smells really good! This has a cool rush of grapefruit, lavender, cedar wood with notes of praline. It keeps them fresh and protected from sweat for 48 hours. My husband likes this antiperspirant/deodorant that goes on instantly dry and leaves no visible residue - no ruined clothes or white marks. It features motion-activated protection with a 48-hour MOTIONSENSE formula that endures any adventure. Plus it has a rugged, woodsy fragrance that blends clean citrus with long-lasting notes of wood and musk. It's manly. Not only is this husband approved, it's wife approved -- I like it! I can't tell you how many showers go on in my house on a daily basis and we are going through bottles of this stuff. This body wash has a special MICROMOISTURE technology that activates while lathering and is clinically proven to fight skin dryness better than regular men’s body wash. It's even good on the face. My husband says it's really light and refreshingly cool. I checked it out and the formula is made with a cooling agent that wakes up the senses. There is no denying that men do like to keep it a little simple, so 2-in-1 products are perfect for them. These vintage inspired Heritage Edition™ hair products combine Suave's classic formulations with today’s hard-working ingredients and the result is a modern, clean look. There are even a few varieties to choose from: Classic Clean 2-in-1, Thick & Full 2-in-1, Deep Clean Shampoo and Deep Moisture 2-in-1. All of the men's grooming products mentioned here can be purchased at Walmart. Watch Dale Jr. talk about how he gets prepared for the day and his races. Plus you can learn about the Earnhardt Nascar racing legacy here.